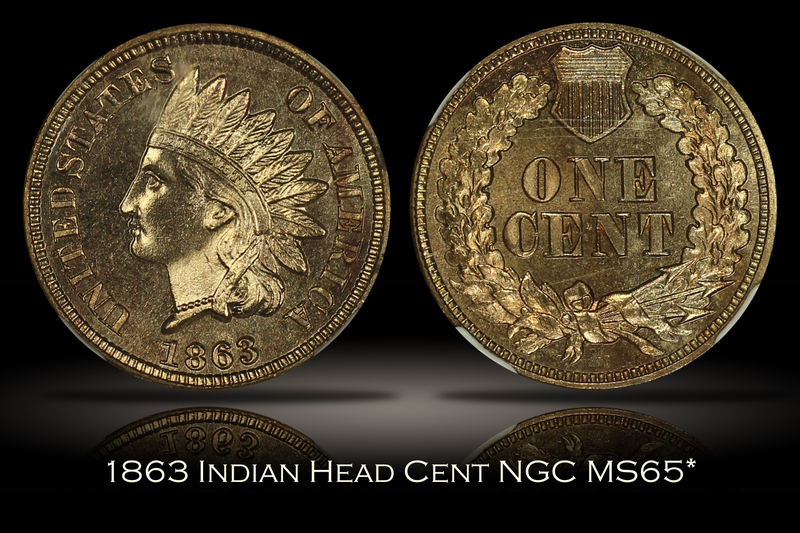 Often, copper-nickel Indian Head Cents can have a dull appearance and/or lack luster. Certainly not the case with this example. 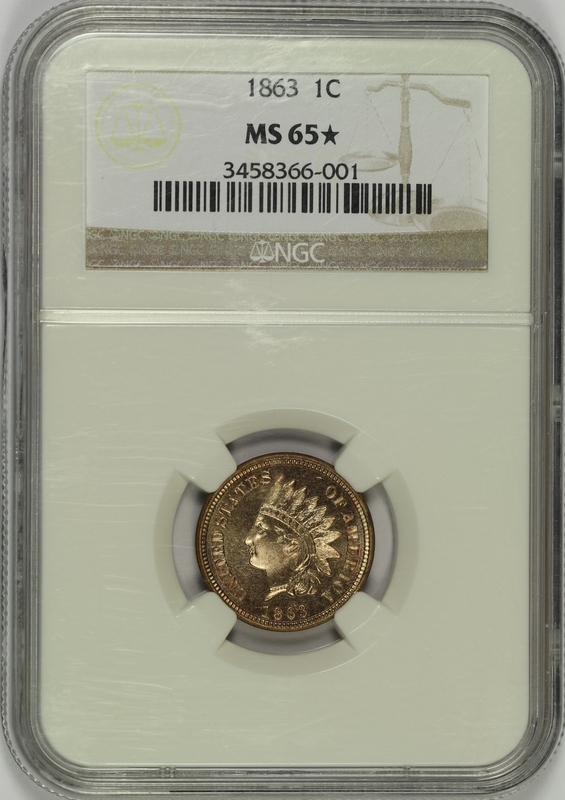 This spectacular 1863 Indian Head Cent has been graded MS65* by NGC and is encapsulated in one of the newer-style edge-view holders. The star designation is given by NGC to coins with exceptional eye appeal. The coin has strong prooflike mirrored fields, seemingly very close to what would be needed for the rare PL designation. The devices of the coin even show some cameo frosting as you would see on a high end proof example, but which is very rare on a business strike coin. Just a few light marks can be found on a close inspection, but they are difficult to notice with how much flash this pieces has with the strong luster and reflective fields. 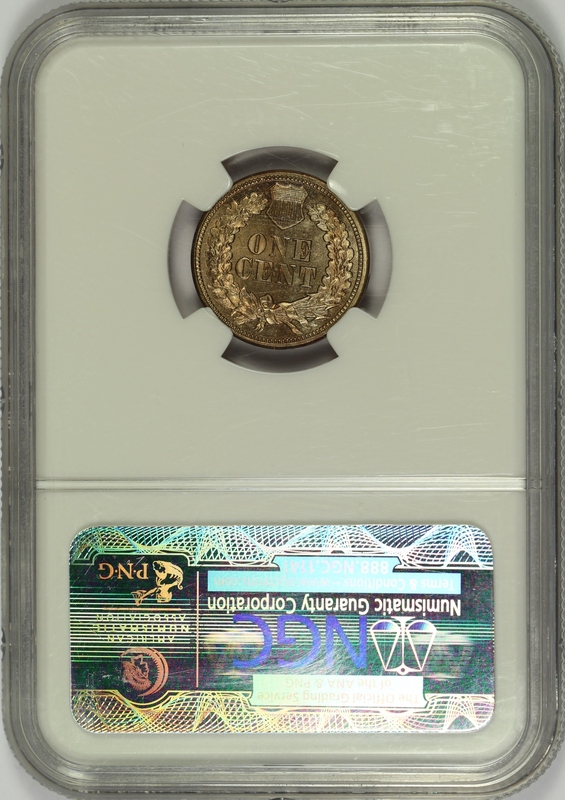 This coin is one of only two examples which have been awarded the MS65* grade by NGC. Grading higher than this are 24 examples graded MS66, a single coin graded MS66* and two pieces grading MS67. Accordingly, there likely are not many examples of the 1863 Indian Head Cent known with the quality and overall eye appeal of this specimen. 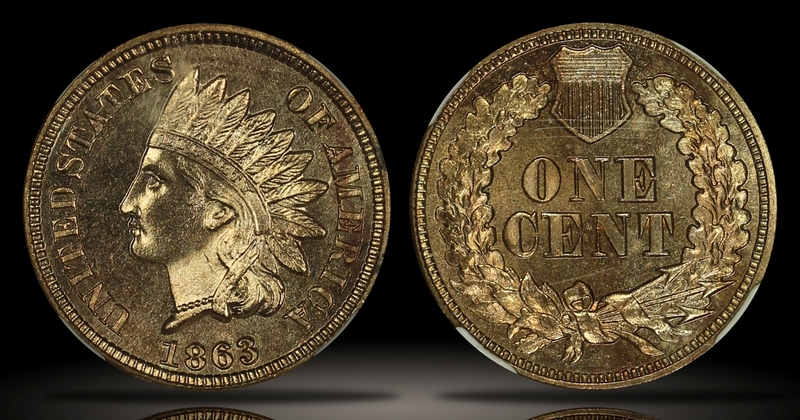 An amazing coin that really pops in hand and a special example of the type.